So much of how we live is dictated by the thought forms we are born into. Our family, our culture, our society, and other contexts/environments can literally program our minds and our bodies to operate in a certain way even if the programming doesn't make us feel good or match what we really believe. These thought forms can be about love, money, spirituality, health, aging, self worth, etc. Thought forms are sustained by our life force energy. Without our energy, these thought forms lose their power over us. With our energy removed, some thought forms crumble and cease to exist. New thought forms that are in alignment with your well being can be created and then infused with the energy taken from the old one. During this meditation event, through the power of energy medicine, your energy will be unwound from the limiting thought forms you have been unconsciously living by. This energy will then be cleansed and put into a new thought form that has been consciously been created by you. The energy centers in our body (chakras) hold our belief systems. Our chakras broadcast our belief systems to the Universe and the Universe then responds accordingly. What a difference it makes when we consciously create what we want to believe rather than live by what has been passed down or instilled in us. This meditation will focus on consciously creating beliefs to be held by our chakras so that what the Universe brings us is in alignment with our true desires. Much research has been put into the ability of water to hold frequency. Frequency can be thought of as information that can be tuned into (like a radio station). What the water in our bodies is attuned to greatly affects how we feel and what we attract. Through our focused intention this meditation will change the frequency in our bodies to match the frequency of abundance. This meditation is particularly effective because we will use the power of focused intention generated by a group. When a group comes together with a shared goal, the potential and the momentum that is created is multiplied exponentially. The capacity for change is magnified, and results can be seen more quickly. Moving out of the mind and into the heart stops the uncontrolled mind chatter that creates realities fueled by chaos rather than coherence. 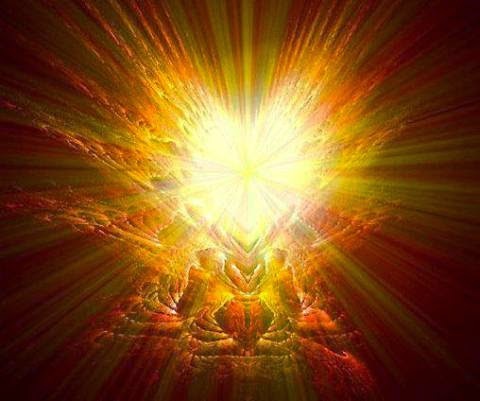 This meditation will bring new programming to our energy centers from a place of heart energy rather than mental energy. Payment to be made at time of the event. Cash Only.